John Hardy Palu Two Tone Gem Bracelet - Ships Free! 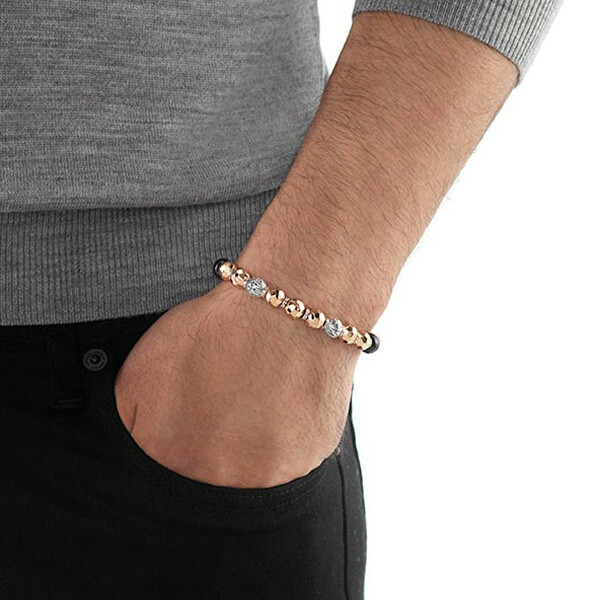 John Hardy presents this fashionable bronze bead bracelet with sterling silver from the Palu collection. Each bronze bead on this adjustable bracelet features an eye-catching, hand-hammered texture. Sterling silver and black tourmaline beads are spaced intermittently between the bronze beads intensifying the beauty of this design. Add a stunning touch of style to any outfit with this amazing John Hardy piece. NOTE: Color may vary. Black Tourmaline. NOTE: Color may vary. Wrist Size 6.75" - 7.25"